Volkswagen of Milwaukee North offers the latest incentives from VW. 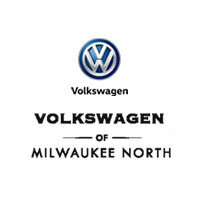 Volkswagen of Milwaukee North invites you to visit our fantastic VW dealership near Milwaukee, WI. Our knowledgeable team members are ready to provide you with the best Volkswagen sales, finance, service, parts, and accessories in the Milwaukee area. If you’re looking for only the best deals on New and Used Volkswagen Cars & SUVs in the Milwaukee area, then stop by today at 1400 W. Silver Spring Dr #103, Milwaukee, WI 53209 to test drive one of our latest models. We offer a great selection of new and used Jetta, Passat, Tiguan, and many other popular models. You may also be interested in our New Vehicle Specials current listings. If you don’t see what you are looking for, click on Vehicle Finder, fill out the form, and we will let you know when vehicles arrive that match your search! You can also explore your options in our Pre-Owned Vehicle Specials. We have a strong and committed sales staff with many years of experience satisfying our customers’ needs. Feel free to browse our inventory online, request more information about vehicles, or set up a test drive. Our friendly sales staff wants to help you in your car buying process. We look forward to serving you! Call (844) 615-6330 today for Volkswagen pricing, availability, service, parts, accessories and more!